As you can infer from the name, a “Whole House” water filter provides filtered water to every faucet inside your home. What the name does not infer is what is filtered out of your water and what exactly water filtration does to your water. To answer that question, let’s take a look at how the installation of a Whole House Water Filter affects your drinking water. Before getting into the specifics of how a Whole House Water Filter affects your drinking water, it’s important to understand why filtering water is important. You see, water is treated at the municipal level before it is sent to your home and part of your utility bill reflects the process to bring you water that is generally considered to be safe for consumption. However, municipal water is treated with chlorine to kill harmful micro-organisms and has aluminum added to it to clump together particles. These water treatment methods are approved by the government but to the health-conscious mother these methods are unacceptable. Unfortunately, these appear to be the most cost-effective disinfecting methods that cities use to deliver “safe” drinking water but studies have shown that consuming too much chlorine and exposure to aluminum is not good for you. To make matters worse, these two contaminants are not the only ones to be found in municipal water. Other common toxins in your tap water include chloride, lead, iron, arsenic, copper, and hydrogen sulfide. Now that you understand how unfiltered water can affect your drinking water and ultimately your health, we can discuss how filtered water can prevent these toxins from passing through. What’s Removed from my Water with a Whole House Water Filter? The first phase in the Whole House Water Filtration process is the sediment pre-filter. You can think of the sediment pre-filter like the filter in your air conditioning system – it prevents unwanted sediments from flowing through your water pipes. These sediments may include disease-causing microorganisms such as viruses, bacteria, and parasites. The sediment pre-filter also helps prevent lead from passing through your home’s water supply, something Torontonian’s are especially aware of as this news has made public headlines. In addition to preventing some of these undesirables from passing through your side of the pipes, the Whole House Water Filter can also improve the taste of your water and improve its clarity. But the level of protection you get doesn’t end there, this is just the first phase of water filtration that you’ll get with a Whole House Water Filter. In the second stage, the water is treated by what’s called the copper-zinc and mineral stone filter and activated carbon filter. Once water passes through the sediment pre-filter it moves along to this second stage that helps diminish the buildup of scale, reduces chlorine and breaks down heavy metals such as lead and iron. This stage also helps to prevent the development of algae and bacteria as well as other impurities before the water is passed along. The two phases of filtration mentioned above are fantastic safeguards for reducing contaminants that may be trying to pass through your pipes and into your drinking water. Each component plays its own role in improving your drinking water and these can be further enhanced with optional filtration add-ons such as a sub-micron post-filter and UV filter. 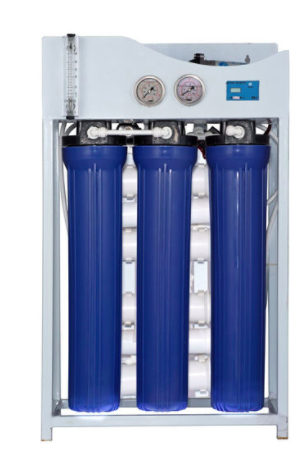 The sub-micron post-filter works in conjunction with the above-mentioned UV filter to separate microorganisms from the water. The UV filter adds an additional element of protection against bacteria and viruses that the sediment pre-filter and activated carbon filter can’t catch. These components are optional (along with the salt-free water softener) because not all geographic locations require this type of protection. 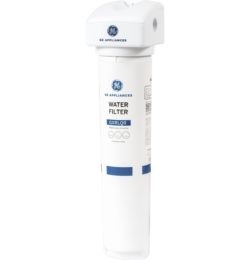 Perhaps the primary effect of your purchase of a Filter Butler Whole House Water Filter is the peace of mind you’ll enjoy knowing that you will be drinking the cleanest, safest, best-tasting water possible. Whole House Water Filters actively treat all the water that enters your home so that contaminants such as chlorine, lead, bacteria and viruses will be safely reduced or completely removed from your water and you can enjoy a glass from any faucet inside your home. Learn more about the Filter Butler Whole House Water Filter and get help determining the level of protection that is appropriate for your home. This is great. I want to go home and talk to my husband to maybe install one soon! Great post! A water system for the whole house sounds really good and healthy. Wish I could get one soon. Whole house filters are really essential to healthy living. That’s really awesome. But saving means avoiding leaks too. You can look into new sensors for your household; the best part is you can control it via your smartphone. A very good blog on importance of purified water not only for the kitchen but also for the complete home. The suggestion is great, I currently am using Livpure ro uv water purifier in my kitchen for drinking and cooking but will think to have a commercial ro water purifier system for my whole house. Water purifiers give a healthy lifestyle in home. Because with use of water purifier it gives us the clean and healthy water for drinking. With latest technologies embed in purifiers like RO + UV + UF purifier. Hi, we are very impressive to see your post. This is really helpful information. Keep it up! Premiere provide the Best Whole House Water Filter system to tackle your water conditions. These whole house water filter cartridges also reduce scale build-up, chlorine, chloramine, and more, and can balance the pH levels too. Enjoy clean, refreshing water for your entire home with a whole house water filter system.